Blacks have lower mammogram follow-up rate. A new study says breast cancer incidence among African-American women in the United States has equaled whites, according to a story by Tara Parker-Hope in The New York Times. That's bad news because it's been less common (although deadlier) in the past. 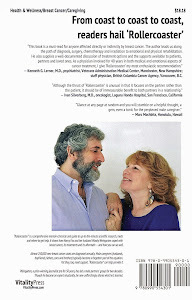 The report, from the American Cancer Society (ACS), showed "that advances in diagnosis and treatment that have dramatically improved survival rates from breast cancer and saved countless lives [in whites] have largely bypassed African-American women." Over all, Parker-Hope's Well blog in the Times said, "a black woman given a breast cancer diagnosis is 42 percent more likely to die from the disease than a white woman with breast cancer." It also noted that in some major U.S. cities, according to an analysis published last year in "Cancer Epidemiology," the rate is even worse. In Los Angeles, for example, a black woman is "70 percent more likely to die," and in Memphis the risk rate is double that of a white woman. Black women, the report said, are more likely than white women "to be given a diagnosis with later stage, and less treatable tumors" — and twice as likely as whites "to be found to have an aggressive form of the disease called triple negative breast cancer, which has a poorer prognosis." According to the Times, "researchers say…rising obesity rates among African-American women may explain some" of the jump — in contrast with a stabilized rate of 33 percent for Caucasians. 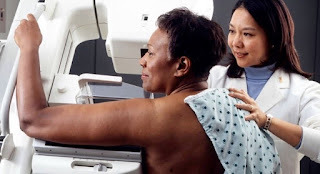 Obesity has been connected to a larger "risk of estrogen-receptor positive breast cancers," the type of tumor now being found more in black women, the Parker-Hope piece indicated. The obesity rate in blacks leapt from 39 percent between 1999 and 2002 to 58 percent from 2009 to 2012. But other reasons for "the racial divide in breast cancer mortality may be due to…disparities in the quality of care available to black women, who may have less access to quality screen and treatment." In addition, "lower rates of follow-up after a mammogram, cultural distrust of doctors, and lack of insurance coverage among black women may also play a role," Parker-Hope writes. The Times writer quotes Carol E. DeSantis, senior epidemiologist at the ACS and lead author of the report, as predicting "the widening mortality disparity is likely to continue." 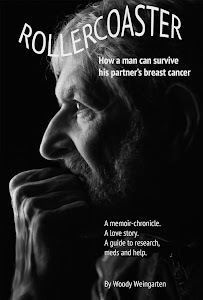 Comparisons between different groups of women can be found in the VitalityPress book I aimed at male caregivers, "Rollercoaster: How a man can survive his partner's breast cancer."